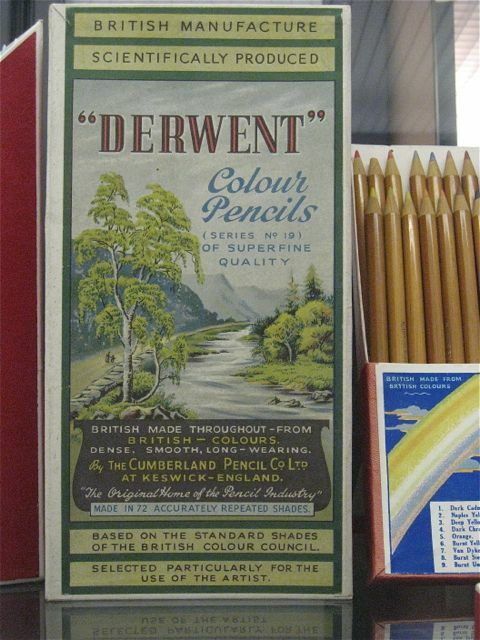 Last week I ran three days of workshops at Keswick’s quirky and fascinating Pencil Museum (see previous blog post) housed in what had been the pencil factory’s canteen. The empty factory still stands, looking very dilapidated – pencils are produced in a different part of Cumbria now – and it’s said there are plans to convert the old building into ‘affordable’ apartments. Not affordable for local people though. 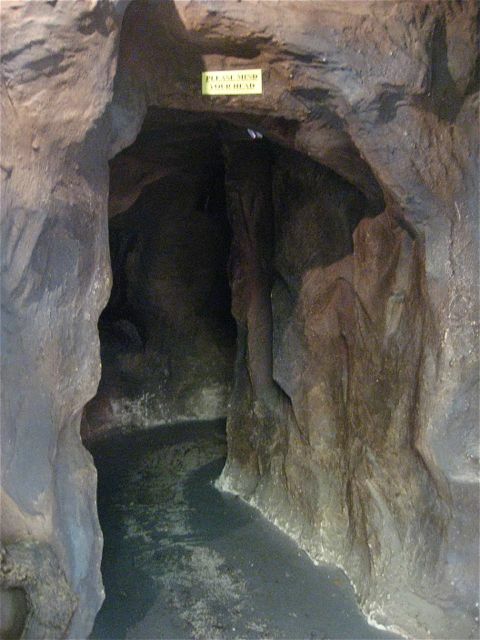 The factory’s origins go back to the 1830s, but the discovery in the Lake District of graphite, the black stuff inside pencils, goes back to the 1500s, and you can imagine what it was like looking for it by entering the museum via a replica bit of graphite mine. 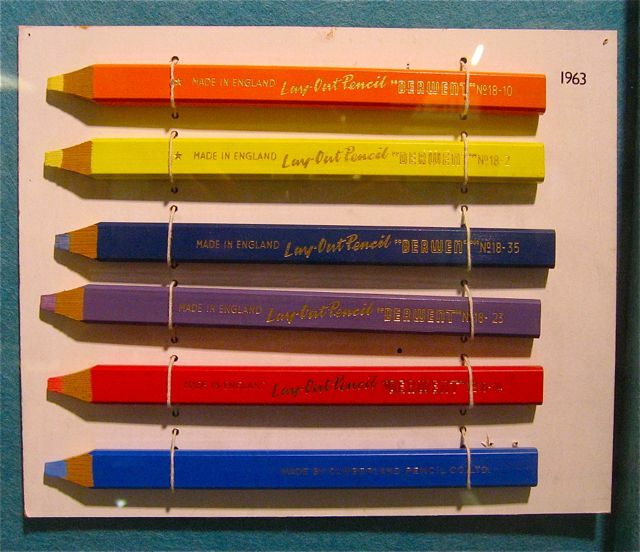 There’s pencil history here, and all sorts of pencil-related wonders, including the world’s longest coloured pencil (7.9m long and sharpened with a chain saw apparently), and pencils made for English spies in WW2. 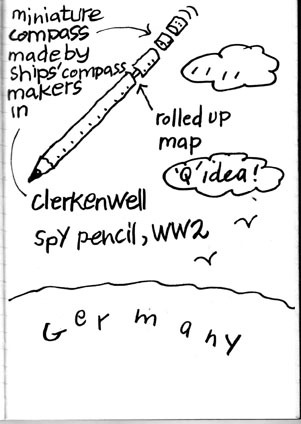 When unscrewed, these ordinary looking pencils reveal a teeny tiny compass and a minute rolled up map of wherever the spies were dropped. 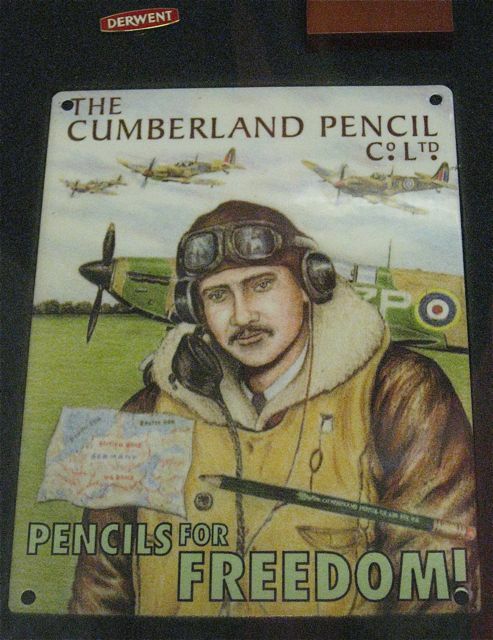 The pencils were one of many inventions by Charles Fraser Smith, inspiration for Ian Fleming’s character ‘Q’ in his James Bond books. After the workshops, and a heatwave of 20 degrees, the weather changed, and I had two days to explore. 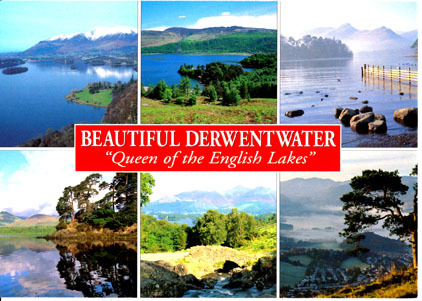 Too cold now for evening after-work picnics by Derwentwater, sitting on the lake shore opposite Cat Bells, and wondering about 7C hermit St Herbert who lived on one its tiny islands. St H was a chum of St Cuthbert of Lindisfarne fame, over on the other side of England. 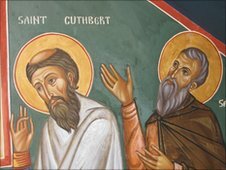 St Cuthbert liked to visit his friend – a week or two of walking? The island became a medieval place of pilgrimage, and hundreds of years later Beatrix Potter used it as a model for Owl Island in one of her stories. 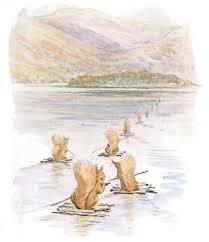 Squirrel Nutkin sailed to it with his cousins on rafts, using their tails as sails. As you do. Coming down the hillside in a flurry of snow from a walk to Castlerigg Stone Circle, I fell in with a group of men wearing knotted grey dressing gowns and huge hipster beards, and felt I had to ask … why? 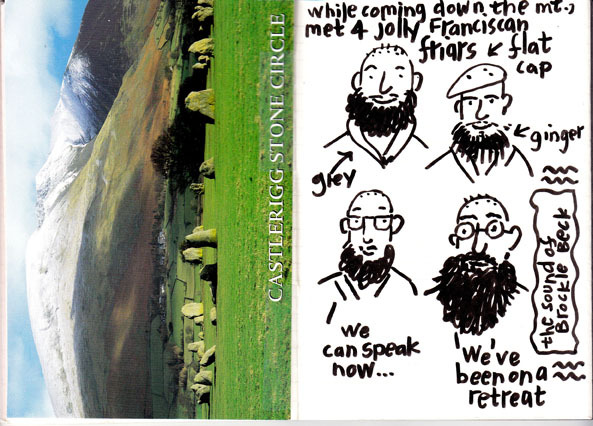 These charming young men were Franciscan Friars on their first day out after a retreat at nearby Castlerigg Manor. We got chatting until one of them, an Irishman with a bright red beard and a flat tweed cap on his shaved head, suggested they might pray with me. I felt very moved as they prayed in low voices, the sound of the fast running Brockle Beck beside us. 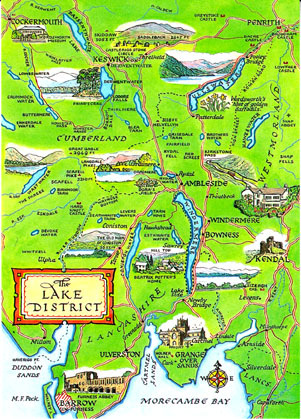 The weather worsened, the temperature dropped to 5 degrees, and I caught the marvellous 555 bus – a double decker that runs from Keswick to Lancaster – in a snow/hail/sleet storm south to Grasmere. Impossible to see the splendid scenery as we bowled along the switchback roads – the windows were thick with ice. The roads were shrouded in fog as the bus dropped me off outside Dove Cottage, one-time home of the Wordsworths. A small group of us were shown round this damp, cold, dark cottage, a vase of dead daffodils on a table. The cottage would have once been lit by tallow candles. I imagined the smell – no running water to wash in, the reek of tallow and Dorothy Wordsworth’s culinary piece de resistance was Giblet Stew. Dorothy, suffering badly from her decaying teeth, took laudanum for the pain. 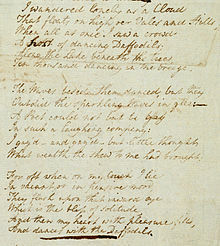 Visiting friends de Quincy and Coleridge were hooked on opium, but William had his poetry, and as our guide emphasised, ‘He had no need of drugs, he got high on words’. 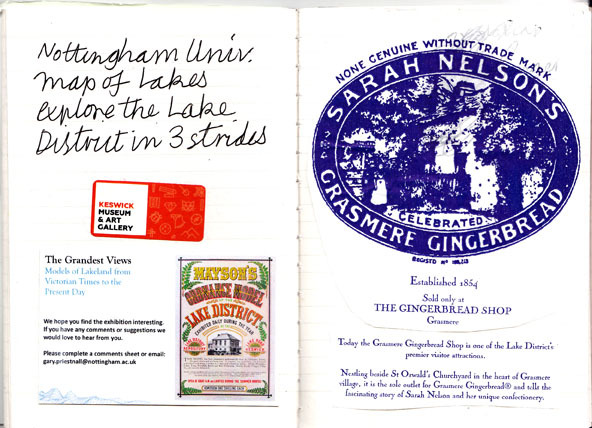 The sun came out, the flooded roadside steamed, I nipped into old Sarah Nelson’s shop, and feasted on gingerbread in splendid gardens by St Oswald’s church, appropriately surrounded by a host of golden daffodils. 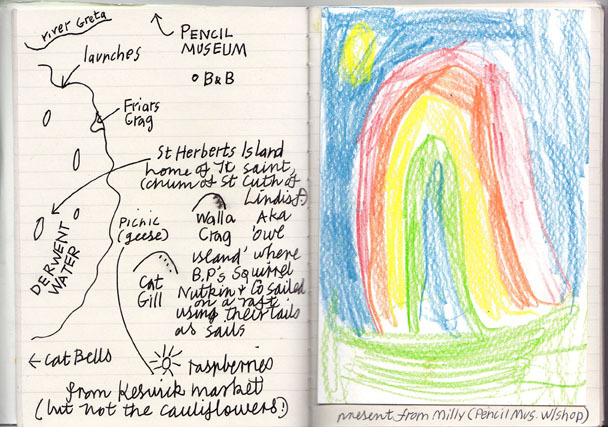 This entry was posted in Drawings, Sketchbooks, Travels and tagged 'Q', 555 bus, Beatrix Potter, Brockle Beck, Castlerigg Manor, Castlerigg Stone Circle, Cat Bells, Charles Fraser Smith, Coleridge, daffodils, de Quincy, Derwent coloured pencils, Derwent pencils, Derwentwater, Dove Cottage, Franciscan Friars, Grasmere, James Bond, Keswick, Lake District, Sarah Nelson's Gingerbread, spy's pencil, Squirrel Nutkin, St Cuthbert, St Herbert, St Herbert's Island, St Oswald's church, the Cumberland Pencil, the Pencil Museum, William Wordsworth. Bookmark the permalink. 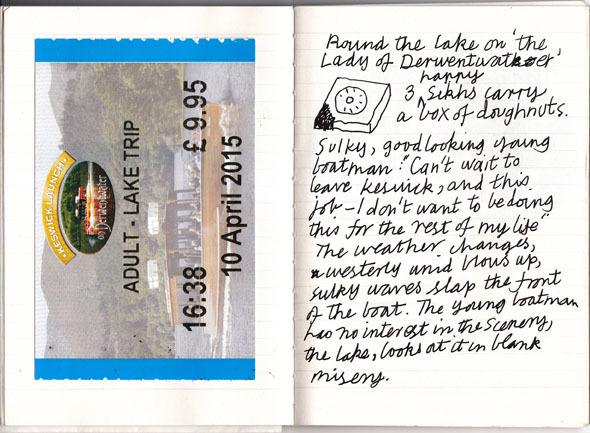 One Response to Sally Kindberg’s visit to Keswick in the Lake District. 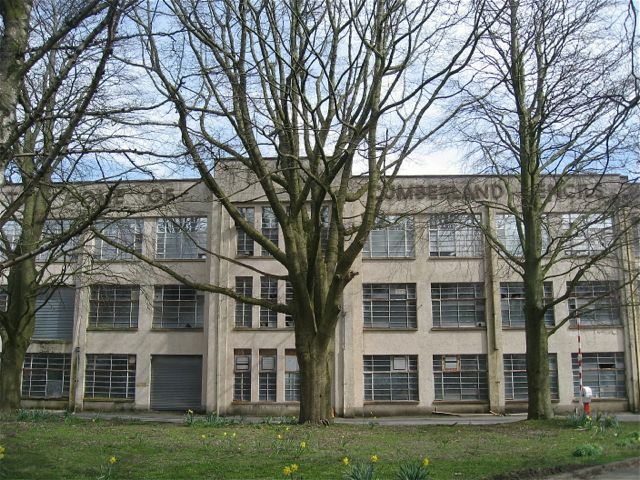 we are trying to gather together as many interested folk as possible who would like to ensure that the Keswick Pencil Factory building is protected from demolition. We are wondering if you would lend your support to our campaign? 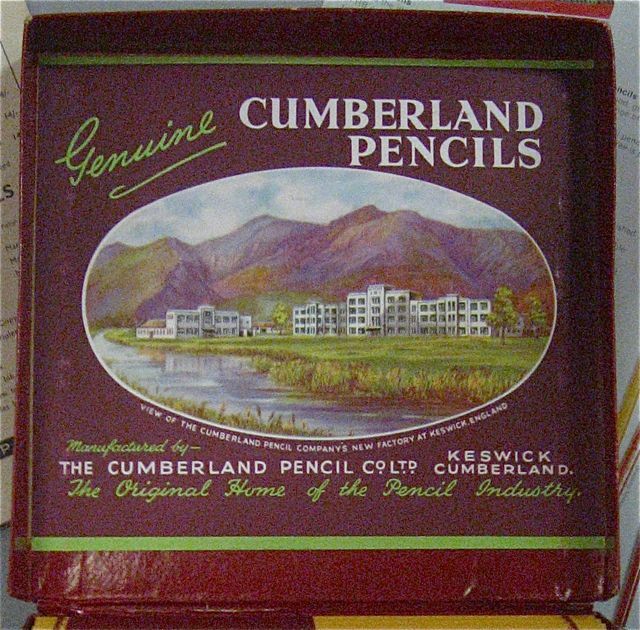 The striking Art Deco building dominates the approach to the centre of town and is extraordinary as it was designed outside the normal Cumbrian architectural vernacular and represents 500 years of social, economic & industrial history of pencil manufacturing in Keswick.